The first term of 2015 has seen some amazing and inspirational developments for our small school community. The main events are summarised below. Itâ€™s a dream come true. 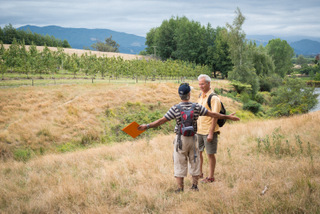 Our small Steiner school community has firmly grasped its future as a farm based school. On March 19th we completed the purchase of a 13.6 ha farm close to Motueka. We are heading back to the land, and back to nature. Read about the journey and see photos here. The school community came together for Consensus Design workshops during February. We wanted to develop a master plan for the farm and new campus, and have total community support for the outcome. The process was led by Matthew ter Borg, a Wellington Architect. Read about our consensus design process. One outcome of the February workshops was the desire to start building. A whole school campus is a big project and we have much to decide and much to learn. 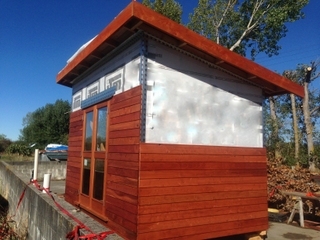 Building a small relocatable office was an ideal scale to start the process. We especially wanted to test some ideas about eco-building. 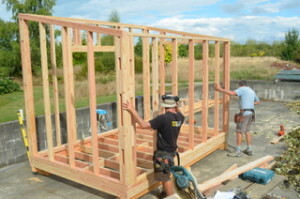 Read about the design and progress of this eco-build. After 31 years of providing playgroups, kindergarten, and schooling in Motueka we think there are thousands of people who have been either students, parents, grandparents, visitors or supporters. For the first time we are using a crowd funding website to ask all our supporters for a small donation. Our target is $15,000. Please visit the site, give a little, and share the link with friends via email and Facebook. 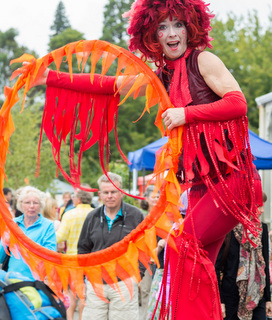 A colourful day and a big crowd suggest the Motueka Rudolf Steiner Autumn Fair is now an established event. Watch the TV coverage here.